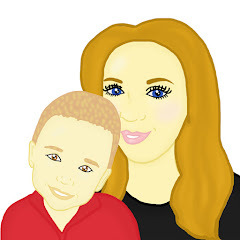 Britmums Live is the biggest blogging event of the year and is dated in most blogger's diaries. It is not an event to be missed and is highly spoken of. 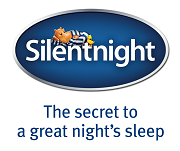 In February 2013 I learnt I would attend the event and this post starts with me saying a huge thank you to my amazing sponsor Silentnight, without your amazing sponsorship I would have never made it to Britmums 2013, I would have not created some amazing memories nor would I have been able to learn any of the valuable information I have learnt. On Friday 21st June, I was ready to leave my house. I set off early, said my farewells to Maxwell and jumped on the train, excited and nervous about what the weekend would bring me. I was excited to meet my blogging friends but also excited to be going to my 1st ever blogging event. Travelling up to London, I had the feeling I had left something behind.... but as my good friend reminded me before I left, if I had forgotten something would it matter? Was it really important if I had forgotten it? I arrived at Waterloo station and eagerly awaited the arrival of my blogging friend Jada who blogs over at Unique Young Mum. She was joined by Alice who blogs over at My Life, My Son, My Way. We made our way on the underground to Old Street Station where we needed to get off and we left Alice to get to our hotel. We were staying at the Hoxton and we had no clue where we were going. We finally arrived at our hotel after asking many people how to get there, left our bags there and made our way to the Brewery where the event was being held. Jada and I had no clue where we were going and relied on people telling us where to go. A 10 minute journey took us triple the time and our feet were killing by the end of it. NOTE - In future do some homework on how to get to venues! Walking into the Brewery and seeing bloggers in every direction was amazing. I was so happy to be surrounded by people who would understand me. They would understand blog talk, they would understand about being a parent, they would understand me! We lined up and waited for our badges, so people knew who we were. Each badge had our name, our twitter handles and our blog URL on so we were able to identify each other. Jada and I were given our badges and a schedule for the weekend and off we went to explore. We were welcomed to Britmums by Susanne and Jennifer who are the founders, they gave us a warm and a welcoming speech. We were given the task to meet 3 new people and I took them up on the challenge and over the weekend I met some amazing new blogging friends. Karen from Missing Sleep, Lilinha from Lilinha Angel's World and Lucy from The Princess Poet's Life Adventure and many more people. I hope to be use this information to make my blog a little better over the next few weeks. I met some fantastic companies, all of which were lovely, friendly and were interested in what I had to say. These companies including Sainsburys, Acer, Warner Brothers, Butlins, Parragon, Coca Cola, Argos, MAM, Visit Orlando and Oilatum. It was a pleasure to meet so many nice people who normally I only get to talk to through email. I had so much fun over the weekend with Jada. We learnt how to cast spells like Harry Potter, met Hedwig the owl (who I claimed was not real) from Harry Potter as well as the animal trainers who train the animals in the Harry Potter films and we got our paws on some of the props from the Harry Potter studio tour. I watched some baby loony toons, admired the amazing new Lego games that are due to be released and entered some fabulous competitions which I sadly not win (BOO, HISS). I laughed my socks off with Jada as we felt the need to take stupid photos of us in the Acer photo booth with props and I was star struck when I met Alex the lion from Madagascar. I heard a very inspirational lady speak at the weekend who opened my eyes to how amazing and brave people can be. She inspired me and made me think about certain things in life. Katie Piper, a lady who was a survivor of a acid attack spoke openly and bravely about how her life changed in just a few seconds. She spoke with such emotion, power and braveness, it is something I will never forget. I was so proud to be part of Britmums 2013 and I have been able to take away a lot from the event. It has built my confidence, helped me create some amazing relationships, given me ideas on how to improve my blog, taught me to never give up and most importantly taught me to be myself, be unique and be Mummy To The Max! Seen soo many fab posts! Soo looking forward to going next year!